Now is your chance to move into the highly desirable Rockford Hills Village neighborhood! The main floor is the perfect floor plan w/a grand entry, a large kitchen/dining area, a cozy living room w/gas log fireplace, sunroom overlooking the beautiful backyard & large main floor laundry & 1/2 bath.This lovely home boasts 4 bedrooms on the 2nd Story - all nice size and a Master w/vaulted ceiling & huge walkin closet! You will want to entertain in the basement-another gas FP & built in TV/surroundsound entertainment system + a pool table that all stay with the home! The basement also has a full bath & office/flex room! 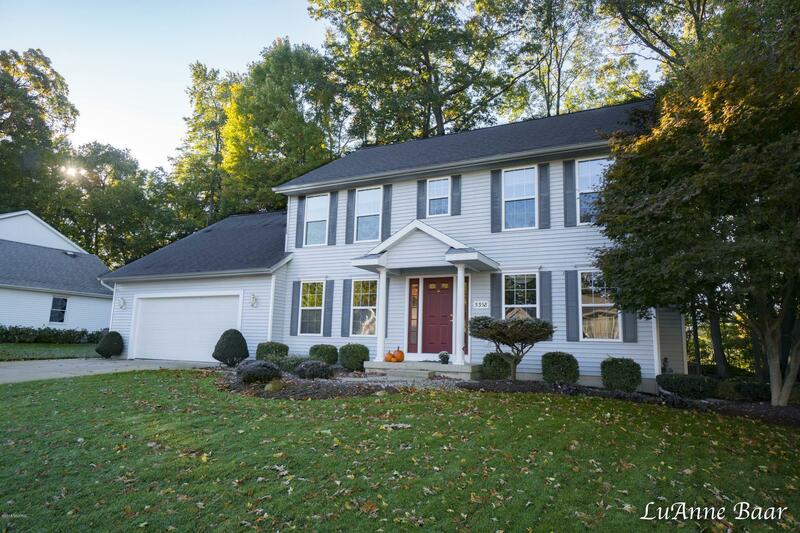 Outside you will enjoy the oversized deck w/ hotub & beautifully manicured lawn w/underground sprinkling & Koi pond. NEW ROOF in 2017. NEWER MECHANICALS. BONUS - this neighborhood has a walk through to Meadow Ridge Elementary (no waiting in drop off and pick up lines! ) Come fall in love!